By 1916 Britain, Australia and Canada had each established official war art programmes to document their country’s activities in the First World War and to use for propaganda purposes. Muirhead Bone was appointed Britain’s first official war artist in May of that year in an unprecedented act of government sponsorship for the arts. New Zealand lagged behind its allies on this issue because its wartime government considered war art unnecessary and expensive, but in April 1918 Nugent Welch was taken on as New Zealand’s divisional war artist. Art from the First World War. Historically portraits of military leaders were more common then the portraits of the ordinary serviceman. The depictions of other aspects of war such as the suffering of casualties and civilians has taken much longer to develop. The Great War in portraits / Paul Moorhouse ; with an essay by Sebastian Faulks. 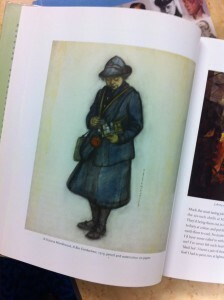 There were no officially commissioned women war artists in the First World War. Women artists were excluded from the front line – the fields of domesticity and social and industrial subjects were considered to be their metier. However women served as nurses, nurse aides and ambulance drivers. Many of them were accomplished informal artists and were able to record their experiences in several mediums. Left: ‘A Grenadier Guardsman’ by William Orpen, 1917. Right: ‘A bus conductress’ by Victoria Monkhouse, 1919. Posters were recognised as a powerful recruiting tool with simple slogans and strong graphic imagery designed to appeal to the working class who fuelled so much of the machinery of war. They were also used to stir up patriotic feeling, influence women to send their menfolk to the front and to take up positions in service, farms and factories. They were also used to justify the war, raise money, procure resources and to promote good standards of behaviour. Photography in the First World War was made possible by earlier developments in chemistry and in the manufacture of glass lenses, established as a practical process from the 1850s onwards.The ability of photographers to document events was limited to what they could literally see at a certain time, while the quality of their work was hampered by the limited manoeuverability of their equipment. War artists had much greater flexibility as documenters of war, particularly in the difficult conditions of the trenches. For many confronted with the effects or aftermath of the war’s violence, photos were too graphic for daily consumption. Caricatures and cartoons served as a release valve—allowing citizens to make fun of politicians, or the enemy, to offset the dire realities of the day. The period was a high point for illustrated magazines, and cartoons were contemporary commentaries. Drawings, portraits and photographs were used to help the four pioneering plastic surgeons of the two world wars to reconstruct the faces of disfigured servicemen and civilians. The First World War utterly changed the way artists looked at the world. Throughout Western art, the grim realities of industrial warfare led to a backlash against the propaganda and grandiose nationalism that had sparked the conflagration. Cynicism toward the ruling classes and disgust with war planners and profiteers led to demands for art forms that were honest and direct, less embroidered with rhetoric and euphemism. 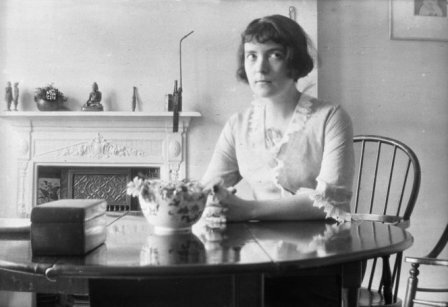 World War One had a dramatic effect on fiction at the time, as well as on the future course of literature. Not only did it give rise to the booming and still very popular genre of World War One Fiction, it also dramatically affected a number of famous authors, influencing their writing for years to come. 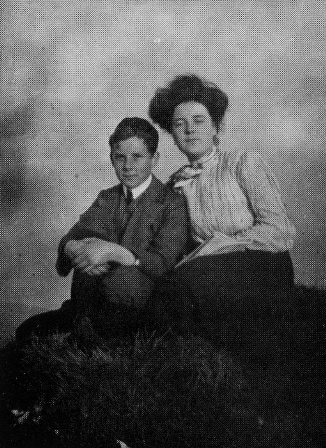 Katherine Mansfield and her brother Leslie in Wellington in 1907. 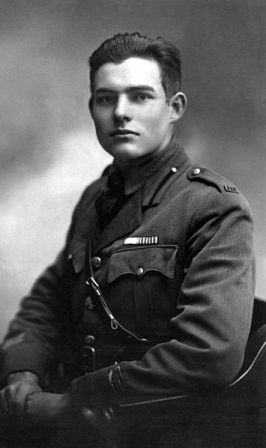 World War One also had a significant influence on the writing of Ernest Hemingway. He attempted to join the US army in 1918 but, rejected due to poor eyesight, he instead became a driver with the Red Cross Ambulance Corps. Only two months after joining, Hemingway was seriously injured by a trench mortar and machine gun. While recuperating in a Milan hospital, Hemingway fell in love with a nurse, and they planned to marry within a few months. However, she later wrote that she had become engaged to an Italian officer. Biographer Jeffrey Meyers claims that Hemingway was devastated by Agnes’ rejection, and this relationship inspires the semi-autobiographical novel A Farewell to Arms. Like Hemingway, the protagonist served in the Army as a Red Cross ambulance driver during World War One, got wounded and spent some time in an American Army in Milan, where he met a nurse. But unlike Hemingway, the protagonist starts a love affair with the nurse. Hemingway in uniform in Milan, 1918. This work is licensed under the Creative Commons Attribution-ShareAlike 2.0 License. 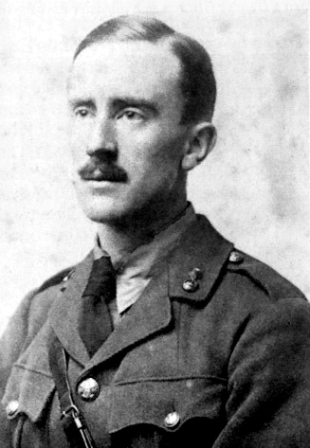 Tolkien while serving in the British Army during the First World War, 1916. These are only some of the authors whose work is thought to have been persuaded by World War One. Others include writers of “traditional” war literature Siegfried Sassoon, Wilfred Owen, Isaac Rosenberg, and Robert Graves, and also novels by Modernists D.H. Lawrence, Virginia Woolf, poetry by T.S. Eliot, and even later novels by Evelyn Waugh, W. Somerset Maugham, Pat Barker, and Robertson Davies. 1917: Mr Britling Sees It Through / H.G Wells. 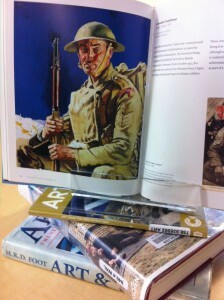 Still today World War One inspires and informs many works of fiction for both adults and children alike. Check out our catalogue for more titles.